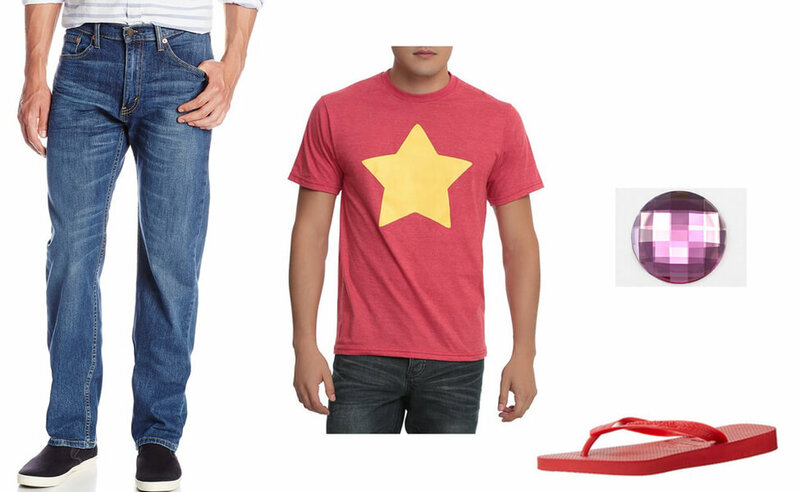 Steven is part of the Crystal Gems, an intergalactic group of warriors who protect the Earth from evil. 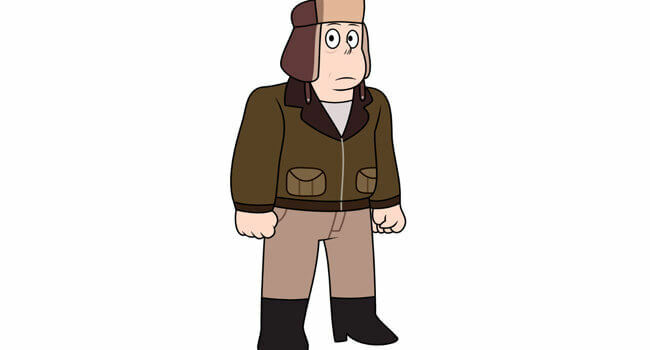 Though he's half human, he has unique powers that he develops with the help of Garnet, Amethyst, and Pearl. His powers come from the gemstone, which is located where his belly button should be, that he inherited from his mother Rose Quartz. 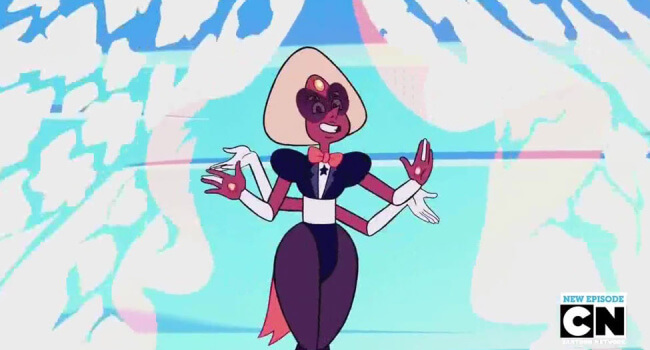 In Steven Universe, Sardonyx is the fusion of Pearl and Garnet (and by extension, Ruby and Sapphire). Sardonyx towers in size, she’s so tall that her hands are actually taller than Steven. She has vermillion skin and pale peach/apricot-colored hair, styled into a tetrahedron with very rounded corners. 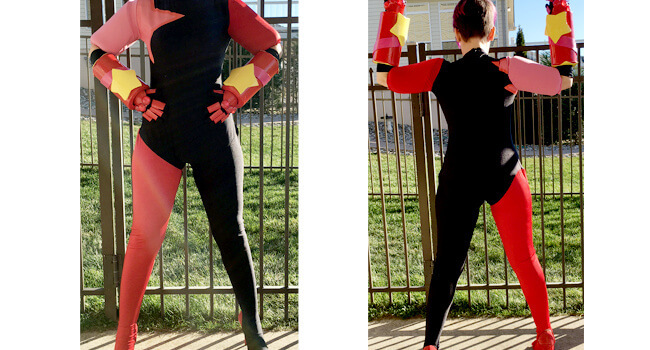 Her torso and legs greatly resemble Garnet’s, but have less mass. As a fusion, she has four arms and inherits the same locations of her gemstones as her fused cooperators. 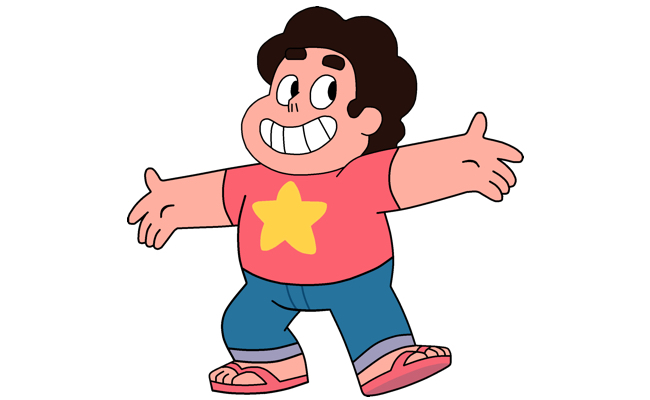 and the first cousin of Steven Universe once removed in the cartoon Steven Universe. He is initially hostile to the Gems, but grows to accept them into his family. 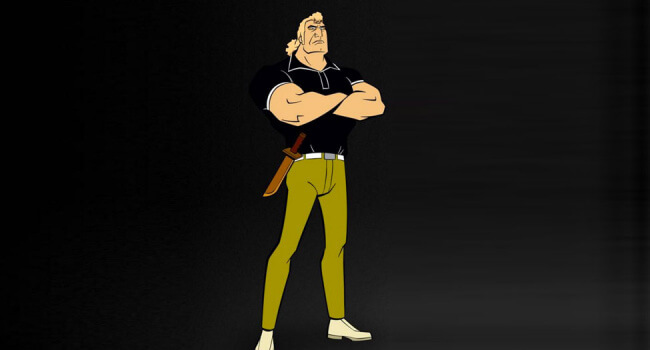 In the Venture Bros., Brock Samson (voiced by Patrick Warburton) is a bodyguard for the Venture Family. He is a gold-locked, government-trained, murder machine, wielding a Ka-Bar fighting knife and a license to kill. 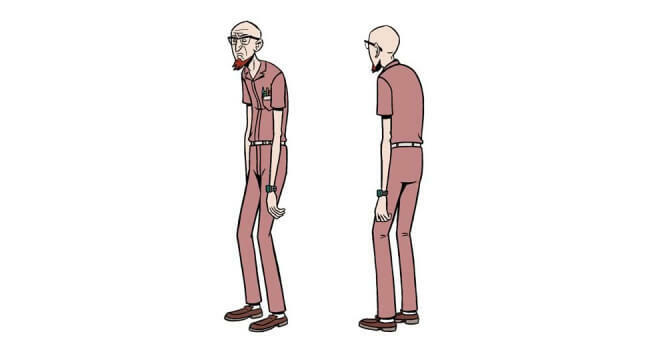 In the Venture Bros., Dr. Thaddeus “Rusty” Venture works in the field of super science. He’s constantly under the shadow of his famous father, who founded Venture Industries, but often cuts corners trying to make his own name. 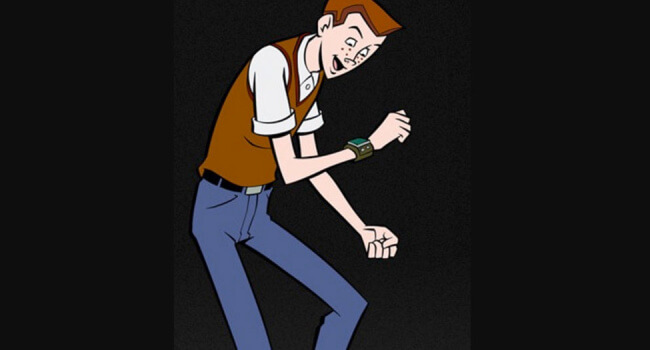 In the Venture Bros, Dean Venture is one half of the titular twins. Compared to his brother Hank, Dean is more timid, bookish, and selfless, though he also shows that he is more emotionally developed, even dabbling with emo.